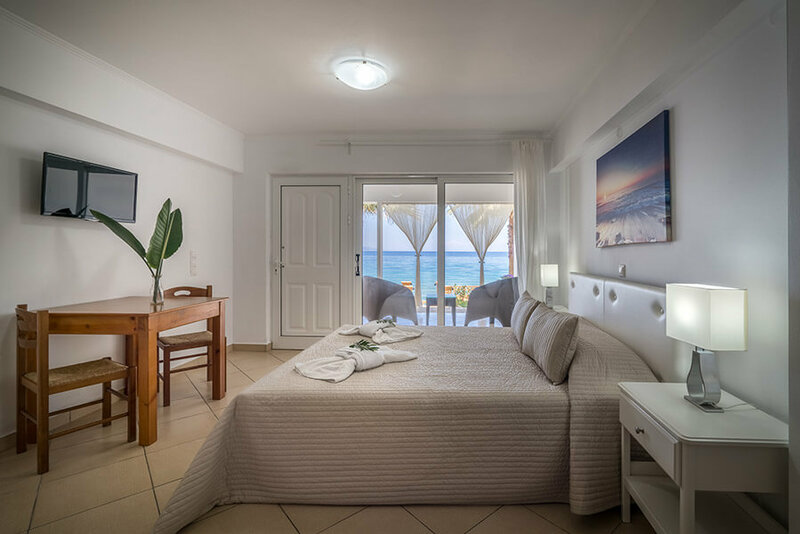 Playa Del Zante is a complex of studios and apartments located right on the sandy beach among the idyllic scenery of the palm trees and lush gardens. 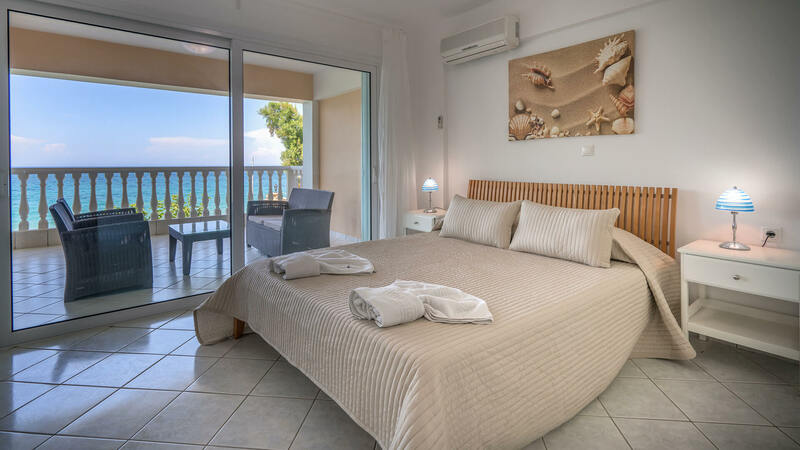 The combination of the peaceful surroundings along with the gentle sea breeze and the beautifully decorated apartments create a unique holiday destination. 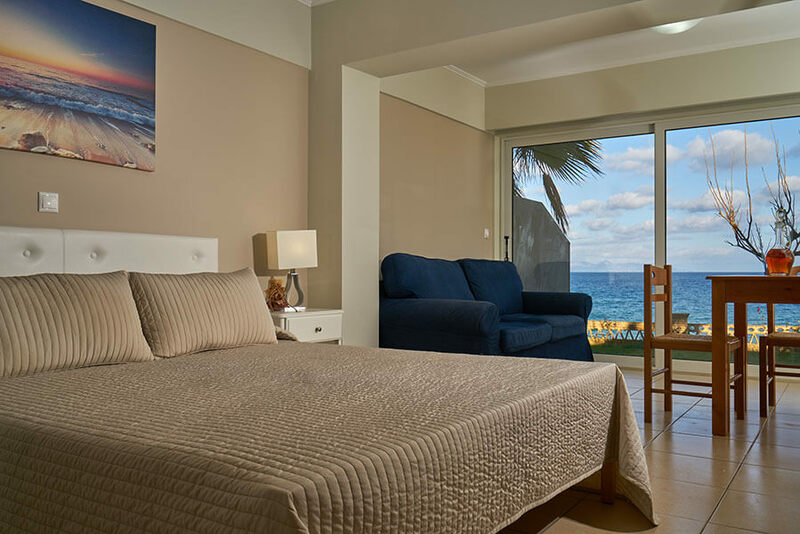 The complex consists of tastefully decorated studios, 1 bedroom and 2 bedroom apartments all of them offering amazing sea views, spacious rooms as well as furnished balconies with amazing sea view! 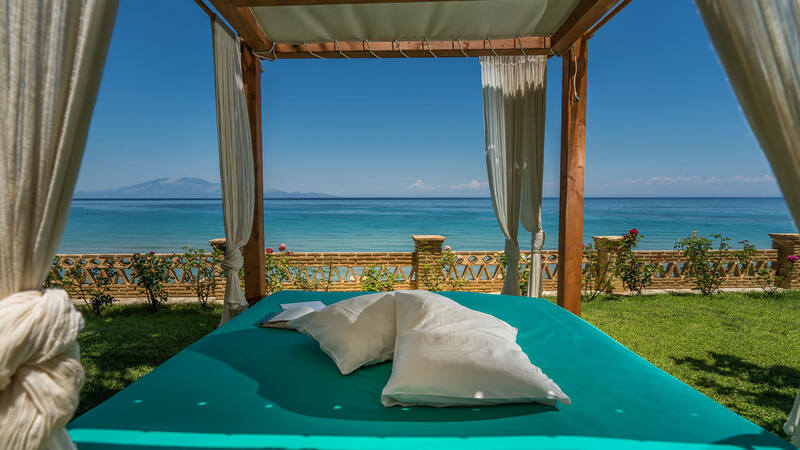 Moreover a garden with direct access to the beach completes the image of a perfect place for relaxing, memorable holidays. 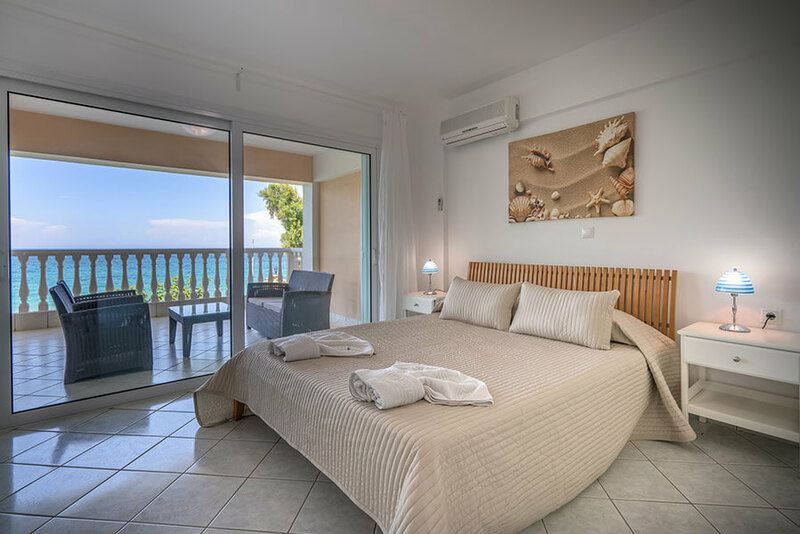 Playa Del Zante personel boasts of taking hospitality seriously, while ensuring that your stay with us will be exactly what you have dreamt of! Besides is there anything better than enjoying a vacation full of sun, sea and exceptional services? 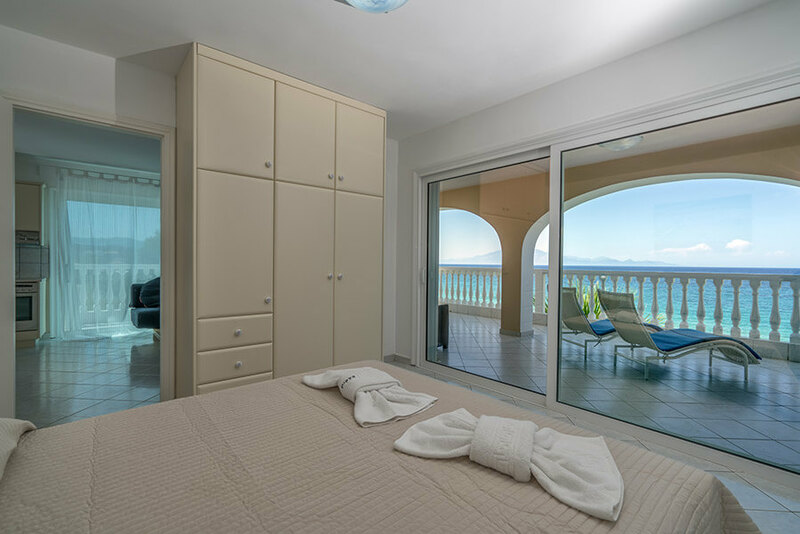 We stayed one week at a studio at "Playa del Zante" and loved it. The location of the small Hotel is great and the sea view amazing. 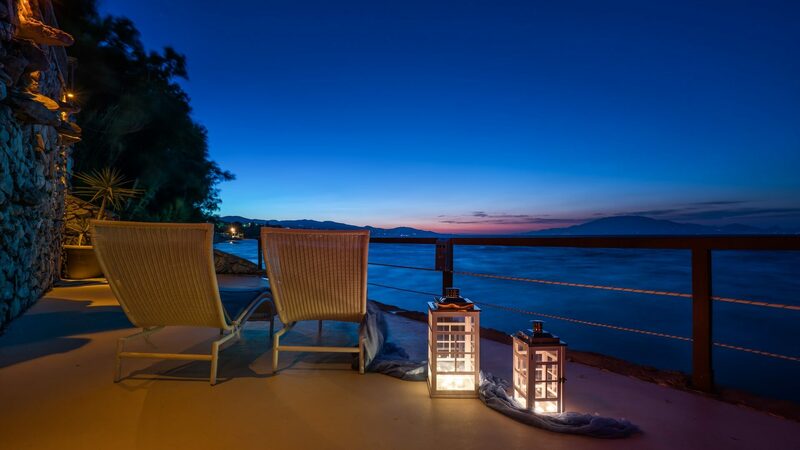 It was perfect for us as we were looking for a quiet place, away from the tourist strips in other parts of Zakynthos. on the other hand, its only a few km away, if you feel like going to bars, shops,... the apartments are fairly big, well equipped and very clean. The cleaning lady is especially nice and always eager to help or suggest beaches or restaurants ... she made us feel very welcome during our stay. We can only highly recommend this place if you want to get away from it all and relax directly at the beach. We didn't know what to expect but Playa del Zante exceeded all expectations. We are a Czech/Swiss-British couple and have been to a few places in Greece and elsewhere. But from the moment we arrived and were so lovingly taken in by the staff, we felt blessed indeed and haven't been to anywhere quite so good. Our room overlooked the sea and its 10 steps towards the water. It's quiet, clean, the garden is also luxurious and well kept. The kind staff made us feel at peace. Thankyou very much! We hope to come again. It was a pleasure to stay for one week! Marietta was the perfect host. The building itself is very nice, is very clean and well maintained. Access to the garden and the beach (stairs) is easy and also very clean. Looking forward to stay at another holiday again!